Living Colorfully: Journey to Florida! You know how they say it's not about the destination, it's all about the journey? Or something like that? Well, getting to WPB was quite the journey, albeit very fun! After saying goodbye to my friends and family we left Syracuse on Friday to go spend the weekend with Dom's family. I was a nomad with my car filled with every single valuable belonging I had so I was a nervous wreck very anxious to get down here and moved in! Still the weekend was so fun, as it always is with Dom's crazy Italian family! 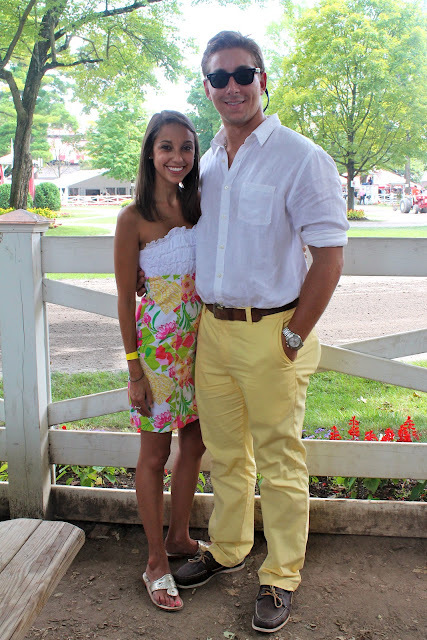 On Saturday we went to the Saratoga Racetrack for Travers Stakes! The oldest horse race in the country. The day was sooo fun and Dom even made $18 :-) Well, once I stopped picking horses to bet on since they kept losing... but anyways the most fun part was getting all dressed up. People there went all out! Dom and his best friend! Then we said goodbye to his family and started our adventure! We drove to Delaware that night, stayed over and headed to Virginia to take the Amtrak Auto-Train. You drive your car onto the train and it brings you down to Orlando, and we just had to drive from there. It was surprisingly fun! There were wine tastings and movies and restaurant style dinners. Plus, our "roomette" was too cute for words. No worries, we came ready with wine, cheese, and snacks! But really, we only needed the wine. When we woke up we were in Florida! We had breakfast among all the little old couples talking about diabetes and their hip replacements. We were definitely out of our element. Then it was only a 2 hour drive to our house. It still feels so weird to say! I'll do a home tour hopefully tomorrow once I've taken pictures. I would absolutely recommend the auto-train to anyone! It's small, but we had a lot of fun. I definitely liked the train...but apparently there are a lot of people who really love the train. What a great post! Love the pics from the train! 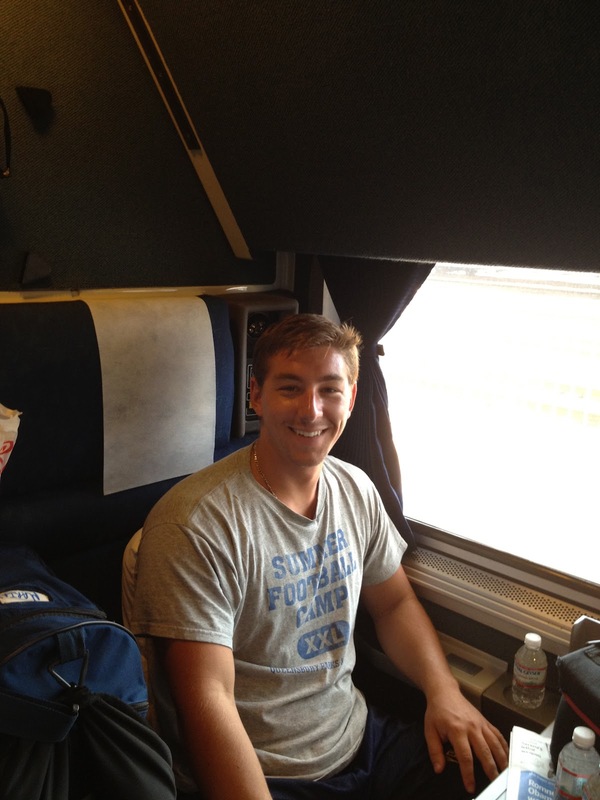 Loved hearing about your adventure and I will certainly be reading more about this auto-train..how fun! Love your dress in the photos as well! And that train sounds much more fun than just driving all the way down... hello... wine! I'm glad to hear everything is going well so far in WPB! Thank you for linking up to the first Travel Tuesday @ Family Food and Travel. Excited to have your contribution! I love race tracks...I wore a big white hat this past time the husby and I went. Wow you made quite a move....I hope you love your new home! Can't wait to see pictures! Hahaha this post is awesome! 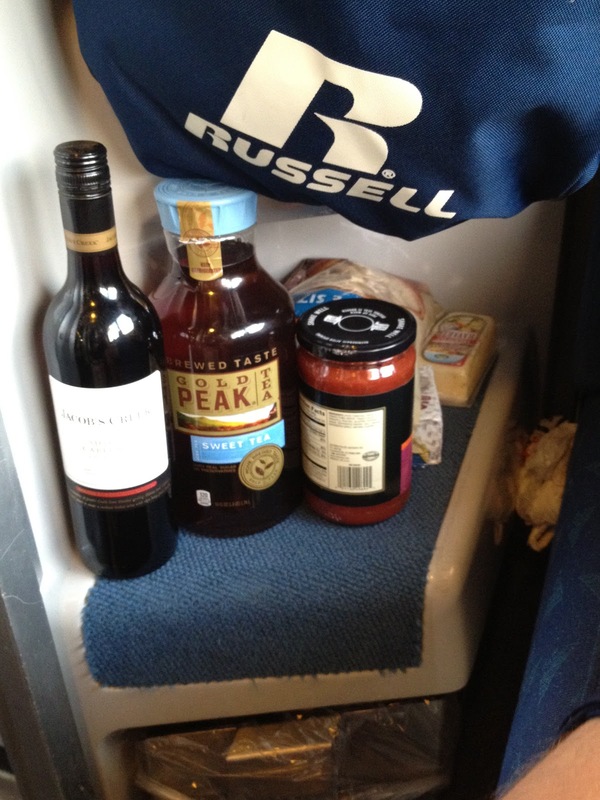 As long as you brought the wine with you you're set! Can't wait to visit!!! :-) Missing you! You & Dom are so cute together! And that train looks like fun :) Can't wait to see pix of the house! hahahahah the "Do Not Hump" made me giggle. cannot wait for house pics!